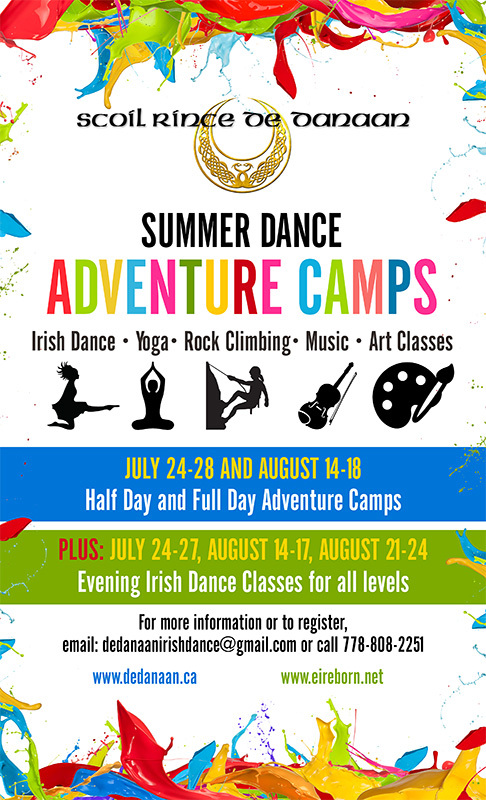 Join us this summer for full and half day Summer Dance Adventure Camps in North Vancouver, which include Irish dance, rock climbing, yoga, fiddle or art lessons, and loads of other fun indoor and outdoor activities! This camp is open to new and returning students of all skill levels, ages 6-16. Space is limited, so register today! Ashley first found yoga when she was 13, after a dance injury, and proceeded to take her 500 hour teacher training through Moksha Yoga in 2011. She has been teaching ever since, and has organized and led classes at Ivivva Athletica, Girl Guides of Canada, and many schools throughout Vancouver. Deepening her practice taught Ashley to love and appreciate herself – especially her little quirks. This self-knowledge has inspired her to teach upbeat classes where laughter is encouraged. 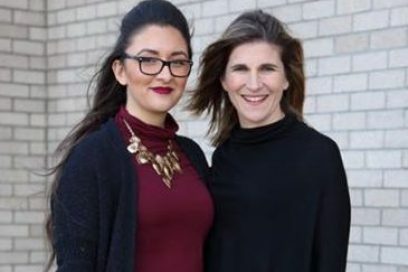 She hopes these classes will help young girls be the best version of themselves and will provide them with an open space to connect and engage in genuine conversations regarding issues relevant to them. The Edge is Canada’s most comprehensive climbing gym with over 15,000 square feet of climbing surface. Located in North Vancouver in beautiful British Columbia, they provide an assortment of services that will keep you coming back, regardless of your experience in climbing. The Edge Climbing Centre is a block away from De Danaan’s North Vancouver Dance Studio. Nafi Toure attended Langara College to study Art. She has extensive experience working with children in the Coquitlam and North Vancouver School Districts, and has taught French at Maillard Middle School, Charles Best High School, and at Sherwood Park, Brooksbank, and Braemar Elementary Schools. She’s also been teaching art classes with Artists for Kids for the past 7 years. Nafi has a true passion for teaching, working with children, and producing various works of art! Visit the Artists for Kids website for more information.